Developed by Toyota GAZOO Racing, the all-new Supra was revealed today at the Detriot Auto Show with full details on pricing, specifications, models, packages and more. Starting from $49,990 (+$930 for delivery) the GR Supra produces 335 hp and 365 lb-ft of torque, propelling it from 0-60 mph in just 4.1 seconds with perfect 50:50 weight balance to optimize its 3397 lbs. 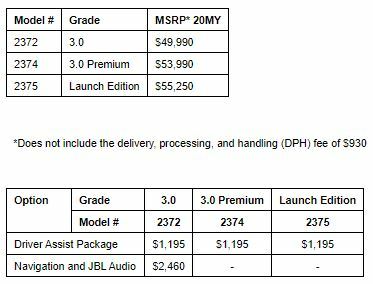 Available Summer 2019 in two grades, base 3.0 from $49,990 and 3.0 Premium from $53,060 with a Launch Edition at $54,320 limited to just 1,500 examples, there are some options to consider. 3.0 Premium gets a wide 8.8-inch touchscreen with navigation, heads-up display, heated and leather-trimmed seats, a premium JBL audio system and more. Some of these are optional on the base 3.0 that gets a 6.5-inch display with Bluetooth. Launch Edition builds on the Premium, getting a host of exclusive upgrades like bigger wheels, more exterior colors and a racing-inspired interior with carbon fiber accents. 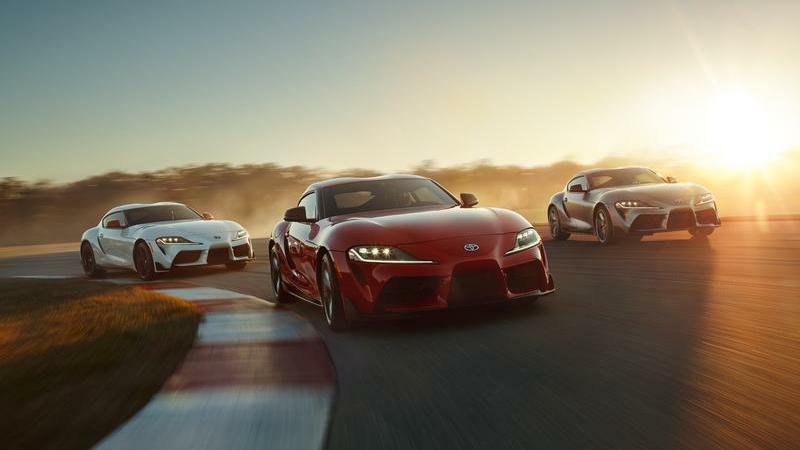 DETROIT, Jan. 14, 2019 /PRNewswire/ -- Sports car enthusiasts have been waiting more than 20 years for the return of Supra and will soon be able to purchase the 2020 Toyota GR Supra for a Manufacturer's Suggested Retail Price of $49,990. For those fans and collectors anxious to be among the first owners of this iconic sports car, the initial 1,500 production Supras for the U.S. will be Launch Edition models starting at $55,250. Each will be uniquely numbered and have distinctive features signifying the exclusivity and excitement of Supra's return. Toyota dealers will be handling all orders and the Launch Edition models go on sale in Summer 2019 starting at $55,250. The first 1,500 Supras will feature an individually numbered carbon-fiber badge on the passenger-side dashboard complete with a graphic of Toyota Motor Corporation President and Master Driver Akio Toyoda's signature. The first 2020 Supra off the production line will go to the highest bidder at the Barrett-Jackson Auction in Scottsdale, Arizona, Saturday, January 19. This one-of-a-kind Supra will be the very first new Supra available in the U.S. in more than 20 years. It will feature a Phantom Matte Gray exterior with the red mirror caps, red leather-trimmed interior, matte black wheels, and will carry VIN number 20201. The carbon-fiber badge on the passenger dash will be numbered 1 of 1,500 with a graphic of Akio Toyoda's signature. The top bidder also will receive an engine cover with Akio Toyoda's personal signature that can be framed or installed on the car. All proceeds of the sale will be shared by the American Heart Association and the Bob Woodruff Foundation. The Supra prototype on display at Barrett-Jackson will be representative of the actual production vehicle that will be delivered in the first half of 2019. Last edited by toyotaft1admin; 01-14-2019 at 12:15 PM. Priced lower down the $40k range would have been better. Toyota has to cut us a break especially since its BMW based. If they expect to win people over, playing on value is a great way to do that like pricing within the $43-45k range.